All luxury appointments and extraordinary views from every vantage Edgewater gulf front condo Tower III for rent by owner. Striking interiors w/thoughtful appointments. 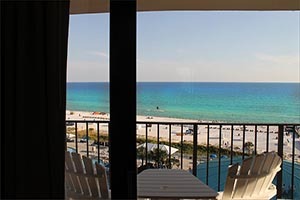 Rental features linens, washer & dryer, 1 king bed, 2 queen beds and a queen sleeper, 2TVs/1VCR, private balcony and an extraordinary view of the gulf, pool and sugar white sandy Panama City Beach, sleeps 6-8! 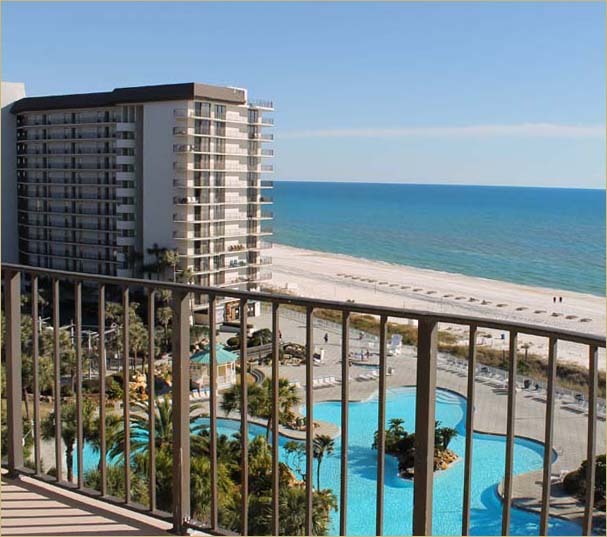 Seventh Floor Tower II, luxurious private condo for rent in the heart of Panama City Beach. 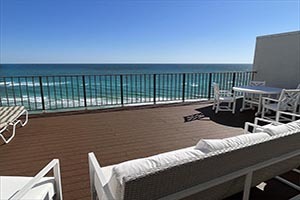 This beautiful 3 bedroom 3 bath condos sleeps up to ten guests and features a beachfront view from a wrap around balcony. 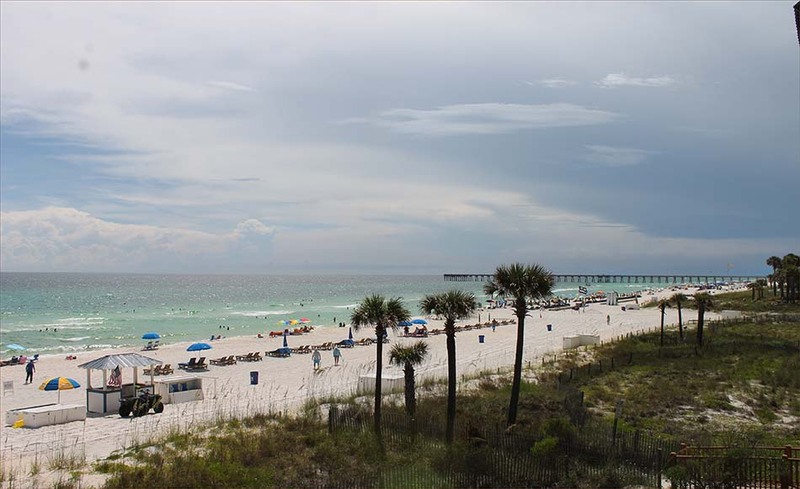 With two king sized master bedrooms each with en-suite bathroom, private washer & dryer, one queen and 2 single bunk beds this 7th floor beach rental sleeps 8-10. The best pool on the gulf! 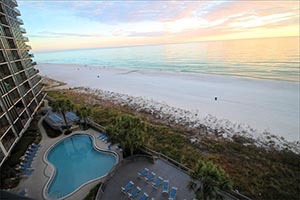 Edgewater Tower III 6th floor condo features 2 bedrooms 2 baths and a gulf facing private view from every vantage point. Condo includes 3 TVs/DVD, fully equipped kitchen, private balcony, washer & dryer, 1 king, 2 queens and a queen sofa to sleep a total of 6 to 8 guests. 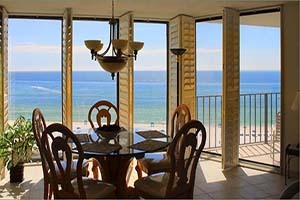 Edgewater Beach Resort 2 bedroom, 3 bath penthouse condo in Tower II. 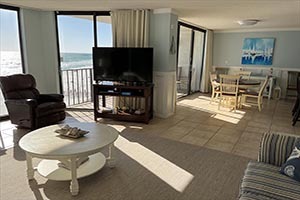 Gulf front beachfront rental features a king master bedroom, a queen plus twin guestroom and a loft with a queen sleeper, mini wet bar, entertainment center and breathtaking top floor, sun deck with forever views of the Gulf and sugar sand beaches. Condo #1209 includes new Flat Screen TVs/DVDs Sleeps 7-8. 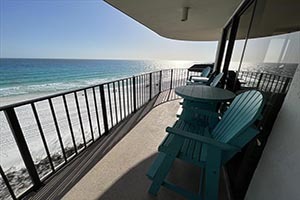 Beautifully furnished Deluxe luxury condo, this gorgeous beachfront rental features a wrap around balcony, updated fully equipped kitchen, full sized washer & dryer, 3 bedrooms each with an en-suite bathroom. 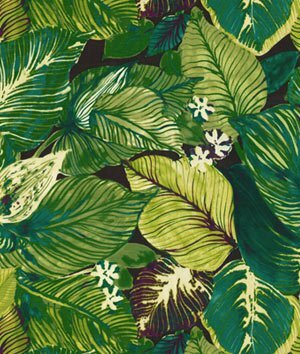 Perfect for families or couples on holiday together. 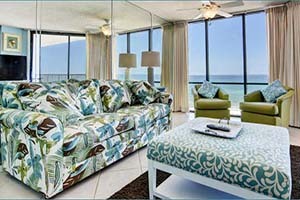 Deluxe Tower I beach condo sleeps 9 guests with two king beds and two double beds. 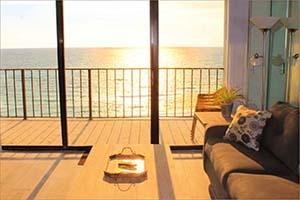 Deluxe Gulf Front 3 bedroom 3 bedroom in Tower I with breathtaking gulf views from the 8th floor private balcony. Two luxury master suites each with king beds plus 2 queen beds in the 3rd guestroom. 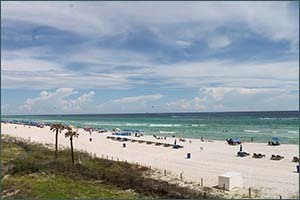 Beach condo includes 3 Cable TVs/2 VCRs, easy care tile floors and luxious granite countertops. Sleeps 8. 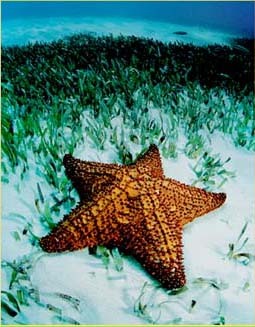 On the Gulf of Mexico! 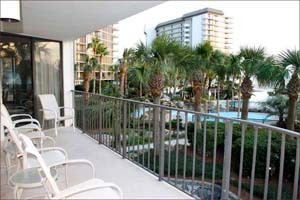 Edgewater Beach Resort luxury 2 bedroom on the 9th Floor of Tower III with private balcony. This beautiful gulf front luxury includes a private washer & dryer, master king, en suite bath, 2 queens in the guestroom and a queen sleeper in the living room. 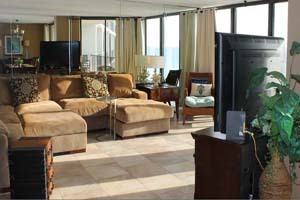 With 3 flatscreen TVs/entertainment center and a spectacular view. Sleeps 6 to 8. 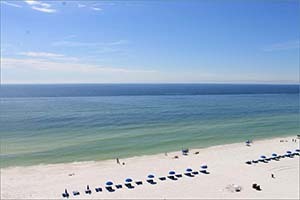 Steps from the emerald green Gulf of Mexico and sugar white soft sands of the Florida Panhandle. 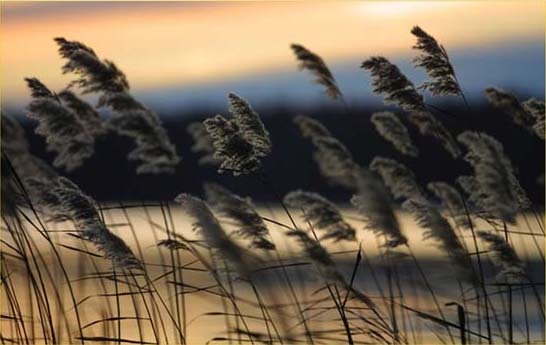 Families, couples and winter snowbirds welcome year round. 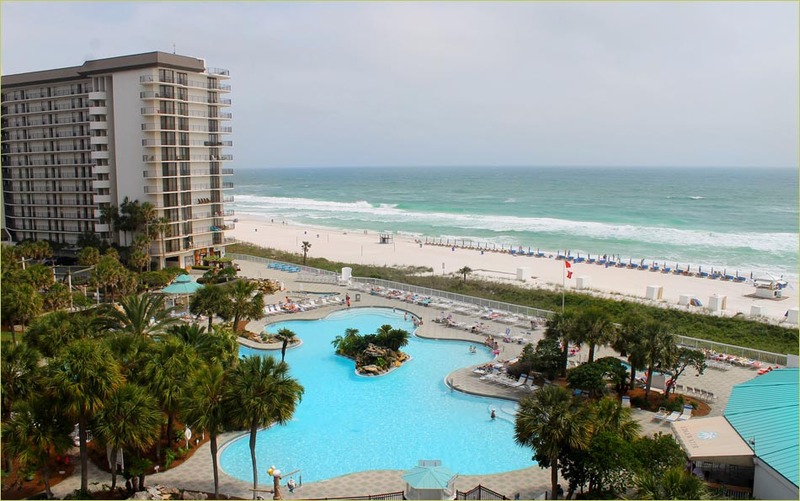 Come enjoy the best pool on the Gulf.